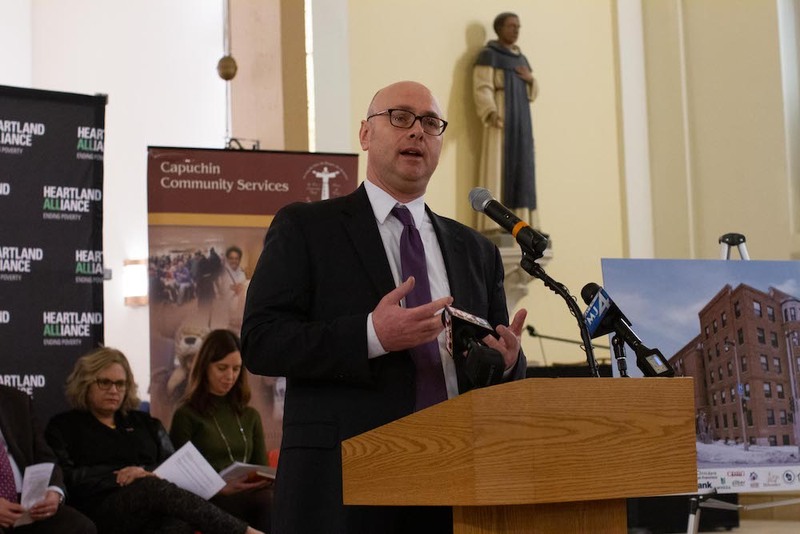 Today, Heartland Housing, Capuchin Community Services, and Ascension Wisconsin joined the city, county, and statewide partners at the grand opening of St. Anthony Place. 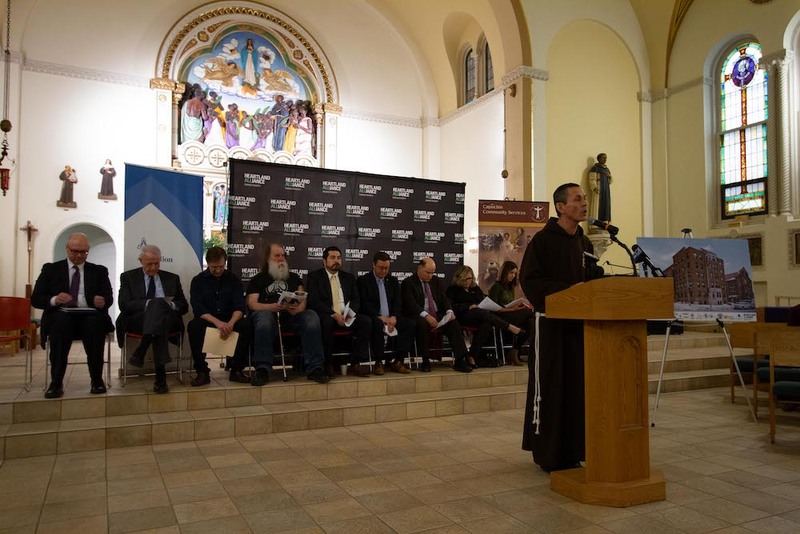 The former St. Anthony’s Hospital, next door to St. Ben's Community Meal, was renovated into 60 units of permanent supportive housing and a comprehensive resource center for Milwaukee’s chronically homeless. 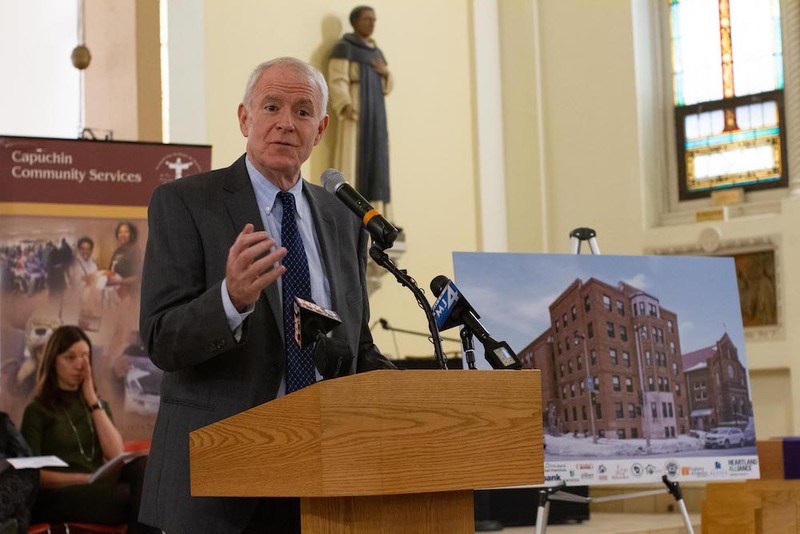 This is a major milestone in the effort to end homelessness in Milwaukee, with Milwaukee County Executive Chris Abele and Milwaukee Mayor Tom Barrett leading the housing-first solution to a decades-long issue. The project was financed with multiple sources including Low Income Housing Tax Credits and federal and state historic preservation tax credits. 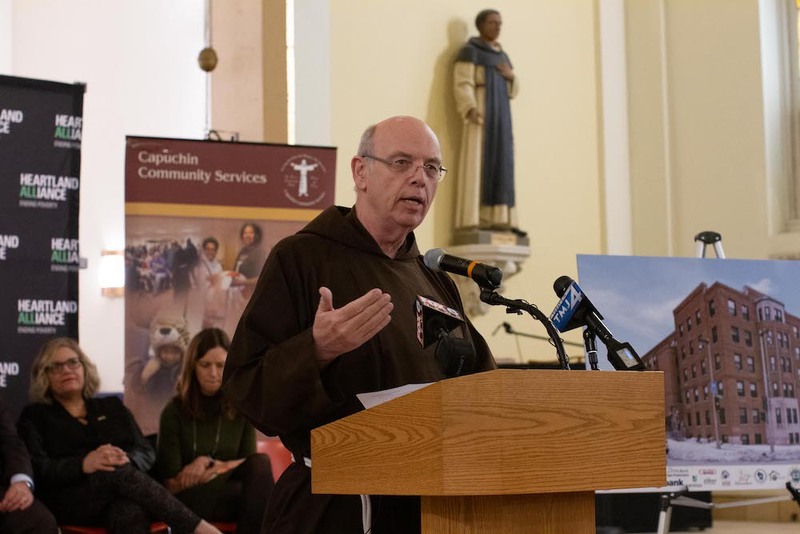 Other lead partners in the development include the Wisconsin Housing and Economic Development Authority, Wisconsin Economic Development Corporation, along with funding partners Enterprise Community Investment, US Bank, Zilber Family Foundation, the Federal Home Loan Bank of San Francisco and Capuchin Community Services. This will be Heartland Housing’s fourth housing development in the city of Milwaukee.